Controversy over new Tesco proposal in Saffron Walden. 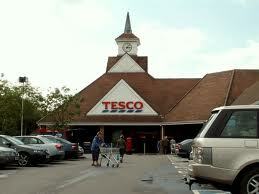 Tesco will create job vacancies in Saffron Walden if the plan gets the green light from the Council. A plan by Tesco to open an Express store, its second site in Saffron Walden, has resulted in outrage being expressed by local people and small shop owners. The supermarket giant informed local residents of its proposal by letter last week, leading to talk about starting a petition against the plans. One resident expressed a belief that Tesco was arrogant enough to think that its plans will automatically be approved and said that she was worried about the three current convenience stores in the area if approval was given. Concern was also expressed about the impact that the deliveries to the store – up to five per day – would have on the area and its traffic. The owners of the area’s convenience stores also plan to oppose the proposal, stating that Tesco was deliberately trying to close down any competition in the town. One of the owners claimed that his customers have been telling him that there is no need for a Tesco Express store and that these types of stores remove business from the town centre. However, the local newspaper has stated that it has also received messages of support for Tesco. The supermarket has indicated that the proposal would only need approval for minor changes and that the new store would create up to 20 jobs. A spokesperson stated that there would be no deliveries at night and that the plan was a response to consumer demand and local consultation. In terms of damaging other business, she added that its Express stores encourage shoppers to stay in town to buy rather than drive out to large supermarkets. We will update this story once we hear more about this news story so if you bookmark this page via buttons below to find us easly for the next time.